Buy Versace glasses from Illuminata Eyewear in Etobicoke, Toronto to receive lifetime service and post-warranty care. Versace glasses come in cutting edges shapes and design; they combine theater, rock n’ roll, and art aesthetic to create modern and fashion forward luxury frames. Versace glasses make a great accessory for enhancing your image and playing up you look! 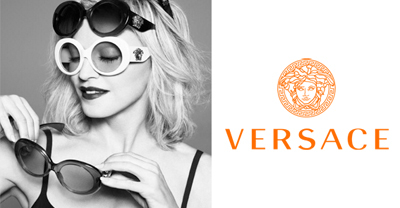 Visit our store to try out our favorite Versace styles and receive a vision styling consultation. Book an eye exam ahead of time to update your prescription for your new frames.